Your Host, Peter Hunt, welcomes David Rust to the show. David Rust is the Executive Director of Say Yes to Education, Buffalo. Together, Peter leads the discussion on Buffalo education and scholarships. Your Host, Peter Hunt, welcomes James Fink to the show. James Fink is a reporter with Business First of Buffalo. Together, Peter leads the discussion on residential & commercial development. Guest host, Jonathan Orlow welcomes Robert Blake & Amber Buday to the show. Robert Blake and Amber Buday are both licensed real estate salespersons working out of the Buffalo Metropolitan office. Together, Jonathan Leads the discussion on the current real estate market and the importance of educating buyers to strengthen their offers. Your Host, Peter Hunt, welcomes Dr. Kriner Cash to the show. Dr. Kriner Cash is superintendent of Buffalo Public Schools. Together, Peter leads the discussion on making the Buffalo Public Schools competitive with Suburban Schools. Imagine a Ritz-Carlton Hotel, the biggest condos in Buffalo and a Tiffany’s jewelry store, all in one building, atop a new and much larger Buffalo Niagara Convention Center. Now put that all in downtown Buffalo, at the foot of Main Street, right next to Canalside. And the building’s already there. Welcome to Peter F. Hunt’s new high-end vision for Buffalo’s tallest edifice, One Seneca Tower. At 38 stories, it is the most dominant property in the city, with views that extend throughout Western New York and even as far as Toronto when the skies are clear. But the former One HSBC Center is also 95 percent vacant and in foreclosure, after its three largest tenants all left, leaving only about 20 small offices on the upper floors and barely any tenant revenue. And that has left many real estate observers such as Hunt, chairman and CEO of HUNT Real Estate – as well as developers and rival property owners – concerned, frustrated and perplexed about what to do. That’s because there simply isn’t enough office demand to fill up the space. Given the building’s size – 851,000 square feet – and the average pace at which Buffalo’s downtown market takes up empty real estate, it would take 10 to 15 years to absorb it. Also, it would need to be updated to try to meet the needs of today’s tenants. To read the entire article by J. Epstein of The Buffalo News click here. This week, peter Hunt welcomes Douglas G. Swift to the show! Swift has a background in Architecture and is currently working on the re-development of Buffalo. Swift is born and raised in Buffalo, and has a focus on rebuilding Buffalo into a place where people don't want to leave. This week, Guest Host, Linda Mallia welcomes Sam Geraci and William Yapel to the show! Sam Geraci is one of our mortgage consultants at HUNT Mortgage and William Yapel is one of our leading real estate professionals working out of our Wheatfield branch. Together, Linda Mallia leads the discussion on ways to improve your credit in order to be approved for a mortgage. This week, Your Host, Peter Hunt welcomes Michael Schmand to the show! Michael Schmand is the Executive Director at the Buffalo Place Inc. Buffalo Place Inc. is the not-for-profit organization dedicated to improving the economic health and quality of life in Downtown Buffalo. Together Peter Hunt leads the discussion on creating a more vibrant downtown Buffalo. 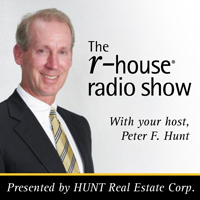 This week Peter Hunt welcomes James Ostrowski to the show! James Ostrowski is an attorney and the founder of "Free New York." Free New York is an organization focused on shrinking government size, analyzing government policies, budgets, and expenditures, and more. James Ostrowski's goal is to bring life back to Buffalo and to figure out what went wrong. Peter Hunt leads the discussion on the Free New York project and what is being done to create change within the city of Buffalo. This week, Your Host, Peter Hunt welcomes Warren Colville to the show! Warren Colville is the Publisher and President of The Buffalo News. Over the past 12 years that Colville has been President, The Buffalo News has extended its digital reach, added more commercial printing presses and expanded delivery capabilities. Together, Peter Hunt leads the discussion on the Peace Bridge Authority. Colville explains that there has been a lot of talk and no action in regards to the Peace Bridge. Colville believes that change is ahead with regards to the Peace Bridge and developing the waterfront & plaza. To find out more listen to this week's show! This week, Peter Hunt welcomes Rocco R. Termini to the show! Rocoo R. Termini is President of Signature Development Buffalo LLC. 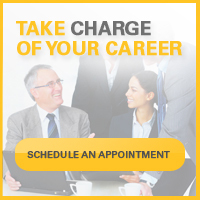 Signature Development Buffalo, LLC is a real estate residential developer. The company engages in the development of luxury and urban apartments in New York. Together, Peter Hunt leads the discussion on the housing development in downtown Buffalo, NY. Currently Termini is developing new lofts and restaurants in the downtown area, as well as a unique vodka distillery. This week, Peter Hunt, welcomes Robert Shibley to the show! Robert is Professor and Dean at the UB School of Architecture and is passionately devoted to building institutions, traditions and programs that advance design and planning through knowledge-based place-making. Together, Peter Hunt, leads the discussion on vacant and empty spaces in the city of Buffalo. Robert explains the strategy to bring new businesses and opportunities to the area. Many of these new opportunities will be funded by private sectors, and other areas from state and federal funds.